After the lackluster 'Licence to Kill', which was met with a poor box office reception and bad reviews from critics, the studio moved on to their next James Bond adventure. The press were spreading rumours about arguments with John Glen (director of the previous five films) and regular scribe Richard Maibaum. Both of them decided to leave EON after these allegations. The series was clearly in jeopardy and the dated formula needed shaking up. 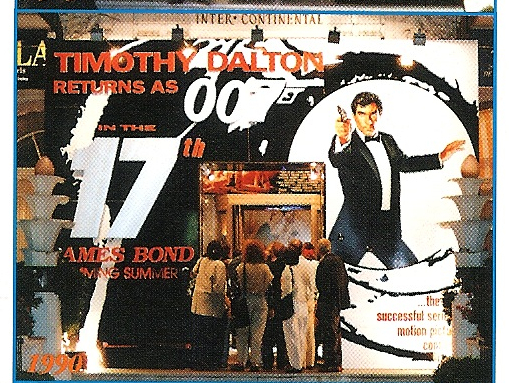 Timothy Dalton was under contract for a third and optional fourth which would take him through to 1993. 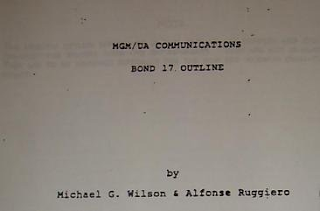 Alfonse M. Ruggiero Jr, who wrote episodes of Miami Vice, sent a proof-read copy of his own idea for a Bond film to executive Producer Michael G. Wilson. 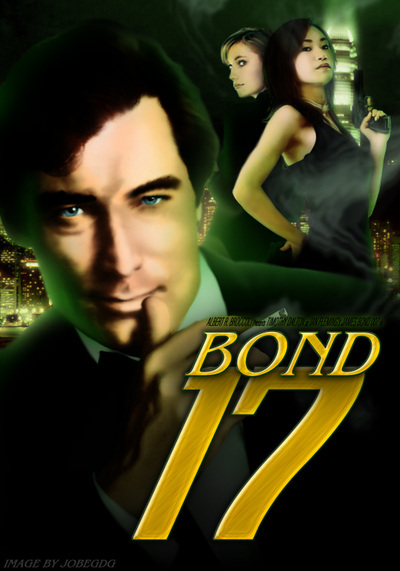 Most of Ruggiero's ideas were too similar to those used in Licence to Kill, however, Wilson liked his style of writing and together they wrote a first draft of BOND 17 in May 1990. 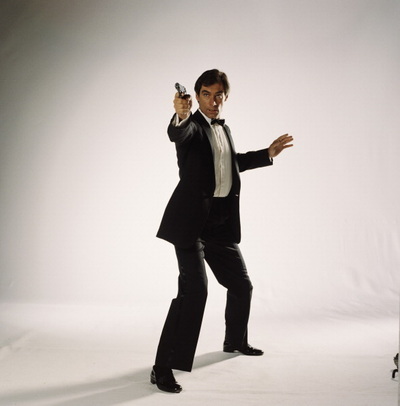 It was clear that the audience wasn't ready for such a hard-hitting violent 007 film, so this story was very reminiscent of the Roger Moore era, but with a similar style and structure to that of The Living Daylights. The entrance of the Cannes Film Festival was decorated in banners announcing James Bond's return in fall 1991. Few details about the film were discussed. 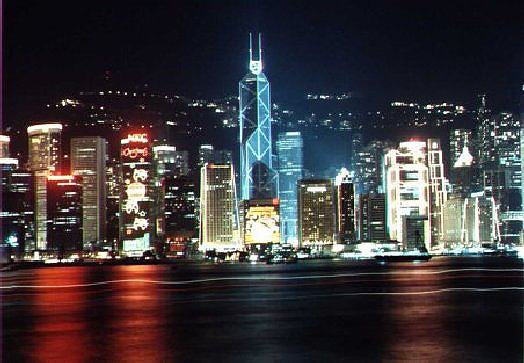 The film was to centre around the handover of Hong Kong to the Chinese at the end of the decade, and a maniacal villain with intentions to provoke a war between Britain and China to prevent it. The film would include various attacks on British and Chinese soil, with the pre-title sequence featuring the destruction of a Scottish Chemical Weapons facility. John Landis was being sought to direct the movie, with shooting to begin in Hong Kong in early 1991. Will Davis and William Osbourne, who wrote the Arnold Schwarzenegger and Danny Devito movie 'Twins', were brought in by Cubby to produce two more drafts. The duo added a certain high-tech feel to the plot. The terrorist attacks would be the result of mechanical robots being controlled by the villain via the aid of microchip technology. They even went so far as to have the villain's girlfriend turn out to be a human cyborg with weapon attachments on her arms. During this time, MGM were suffering financial losses and the company was sold to Giancarlo Parretti. Parretti was the chairman of Pathe Communications and was interested in merging the two companies. His idea was to sell global television rights to MGM's licenced movies and prevent the company from making new releases. Any new films would be released under the Pathe Communications label. But the James Bond series was not only owned by MGM/UA but Danjaq too. When Cubby learnt that Danjaq would never see the proceeds, he sued him. 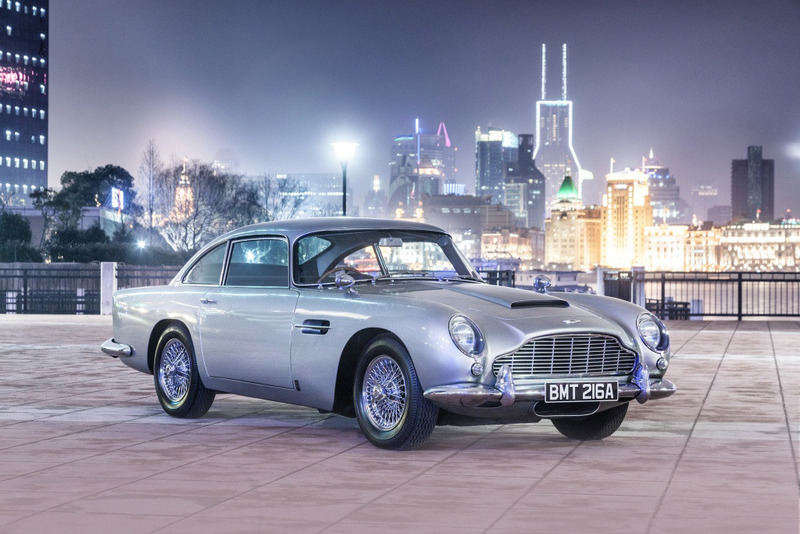 Production on BOND 17 was stalled. But with the story now taking shape, Willard Huyck and Gloria Katz, writers of 'Indiana Jones and the Temple of Doom', were brought in to polish off a shooting script. Several actors were linked with the film during this period. Anthony Hopkins was a favourite for the film's 'intelligent villain' and Lucy Liu was reported to have landed the part of the Chinese agent. Catherine Zeta-Jones and Elizabeth Hurley were the top contenders for the American Bond girl and Chinese actor Ken Watanabe had apparently read for the part of the henchman. Location scouting had taken place earlier, but the Chinese Government didn't want certain scenes to be filmed there. Wilson was looking at alternate locations in Canada to replace Hong Kong and Australia's skyscrapers for scenes set in mainland China. The lawsuit against MGM-Pathe was finally settled in December 1992 after Parretti was removed from the board and a new Bond-friendly regime was brought in. John Calley was interested in reuniting the team behind the 1993 epic 'Cliffhanger' to help on the next James Bond film. 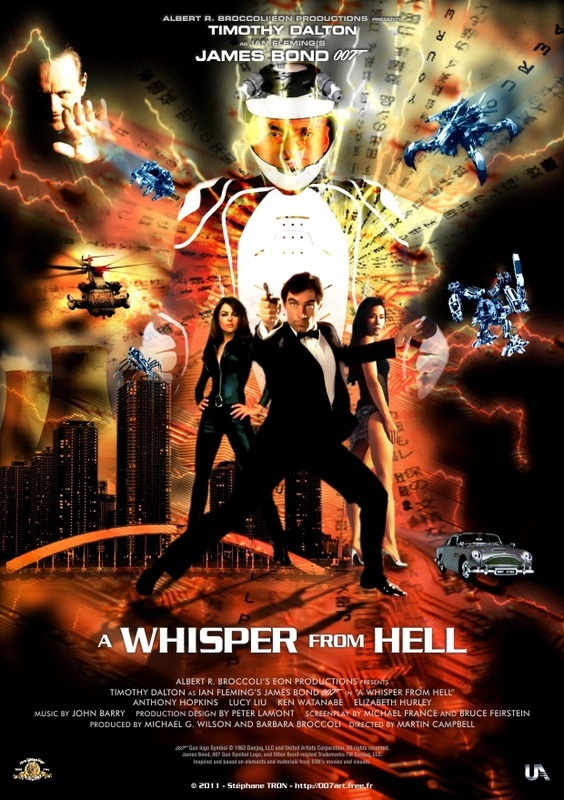 Michael France was hired to pen the script and negotiations were being made for Renny Harlin to direct. But Calley wanted a new actor in the role of James Bond and provided a list to Cubby of all the actors he deemed worthy to take on the spy. 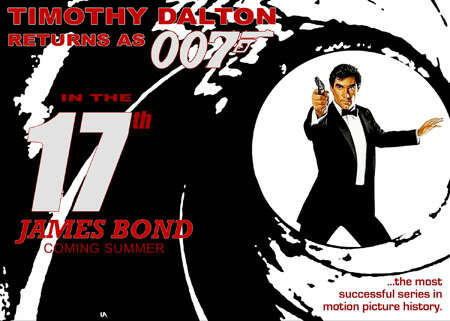 With BOND 17 finally moving forward, release dates were being set for fall of 1994. Bruce Fierstein was hired to adapt France's script into shooting shape, but they were met by the release of the Arnold Schwarzenegger movie 'True Lies'. With scenes proving too similar, Fierstein and France took the script back to the storyboard and began frantic rewrites. By this time, Timothy Dalton's four-picture contract was up and Cubby was under pressure from MGM to fire him. Dalton publically announced on the 12th April 1994 that he would not return. 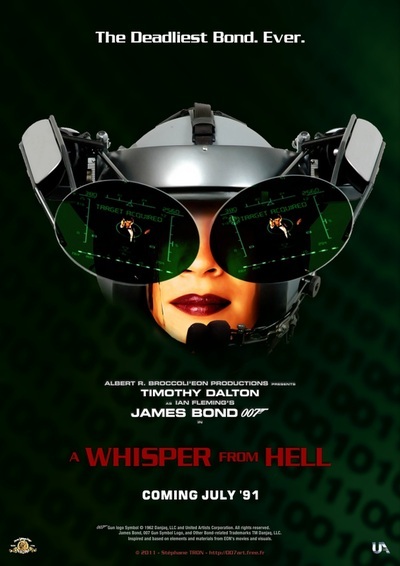 Two months later, Martin Campbell was signed on to direct, Pierce Brosnan was announced as 007, and Fierstein and France worked on a new look for the character - having to adapt scenes originally written with Dalton in mind. In 1994, Martin Campbell called 'ACTION' and the 17th James Bond adventure finally went into production as Goldeneye.